The bathing water quality of our beaches is hugely important. In Devon and Cornwall, where I work, we have 144 ‘designated’ bathing waters – sites determined by the numbers of people using the spot for swimming. The vast majority of these beaches have good water quality. 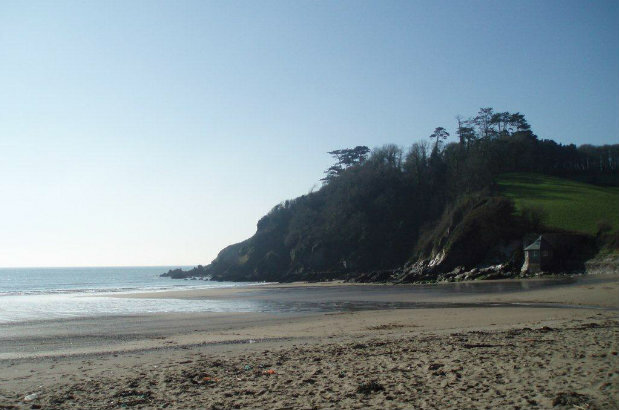 However, there are some, such as Mothecombe Beach, which can be affected by poor water quality. Mothecombe is a beautiful beach on the south Devon coast – it is a wonderful part of the world. As the beach champion for this beach, it is my role to investigate what is causing reduced water quality and work with partners and the local community to improve it. We have been working hard to establish the main causes of poor water quality at the beach. This has been done in various ways, including taking water samples from the main River Erme and a small stream that runs on to the beach; using dyes to trace where pollution is coming from; collecting ecology samples; and getting out and about walking the catchment to see what might be affecting the quality of the bathing water. We have also been using DNA testing techniques on water samples collected from the bathing water to help us pinpoint where the bacteria has come from. At Mothecombe, the main issues for bathing water are agriculture and sewage. To help reduce agricultural impacts we have worked in partnership with South West Water, Westcountry Rivers Trust and Catchment Sensitive Farming to install over 20km of farm fencing. This keeps cattle contamination away from the streams and rivers that run into the River Erme and finally reaches Mothecombe. There are other exciting plans ahead which we hope will benefit Mothecombe. For example, we’ve already seen some better bathing waters results due to South West Water carrying out improvements worth over £7 million. For me, personally, this is fantastic to see and I’m hoping these good results will continue through the season. The beach owner has also been involved in the Short Term Pollution prediction scheme since its trial in 2013. This scheme estimates the likely bathing water quality each day based on the specific amount of rainfall. If poor water quality is predicted, a sign will go up advising bathers not to swim due to an increased risk of pollution. This helps members of the public to make informed choices. You can view all the water quality sample results and the daily prediction on the Environment Agency interactive map. I’m keen to get people in the local area involved in looking after the beach and this month we organised a community event. I wanted everyone to know about the work that we and others had carried out. South West Water attended along with Natural England, South Hams Area of Outstanding Natural Beauty, Westcountry Rivers Trust and the owners of the beach, the Flete Estate. The event was a great success with a good turnout for a small community. We also organised a 'Focus on Farming' session as part of the event. We told local farmers about the difference they could make to the local beach and thanked them for all their efforts so far in improving water quality. Changes to the European bathing waters directive mean even tougher standards have to be met in bathing water quality. With the formation of a community beach group, the sewage infrastructure improvements and the ongoing agricultural work, I’m confident we are doing all we can to achieve a good result at Mothecombe. This will help protect the health of all beach visitors and improve the habitat overall for river and estuary users and the wildlife. Karen Irwin is the beach champion for Mothecombe beach in Devon.